This is a multipurpose dynamometer type instrument for measuring alternating currents, voltages and power. This meter dates from around 1964 judging by the date codes on the TCC and Dubilier capacitors inside. Early models dating from the late 1940s have a black front panel but otherwise appear very similar. I found that although the instrument indicated correctly the pointer tended to stick mid scale. When I opened it up I discovered that one of the aluminium pistons of the air damping system was fouling one of the cylinders. A little gentle poking seems to have resolved the situation. 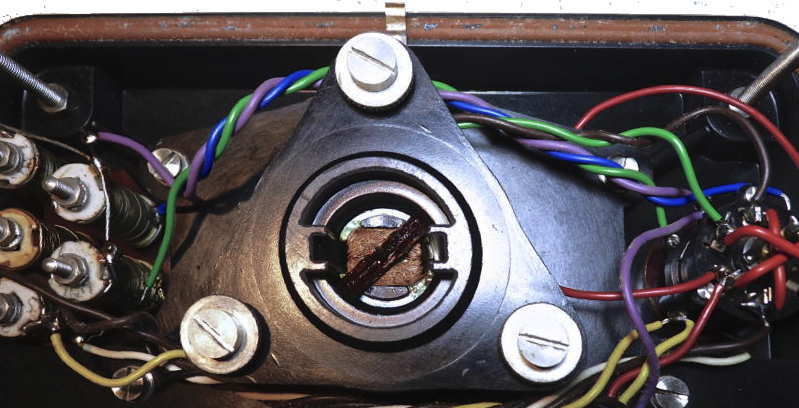 The other problem that required fixing was the knob of the voltage switch which could not be turned to the check position because the red pointer had come adrift. The cabinet is in good condition for its age, the hinges, clasps work well and the leather handle is still strong and intact There are no test probes or instructions. 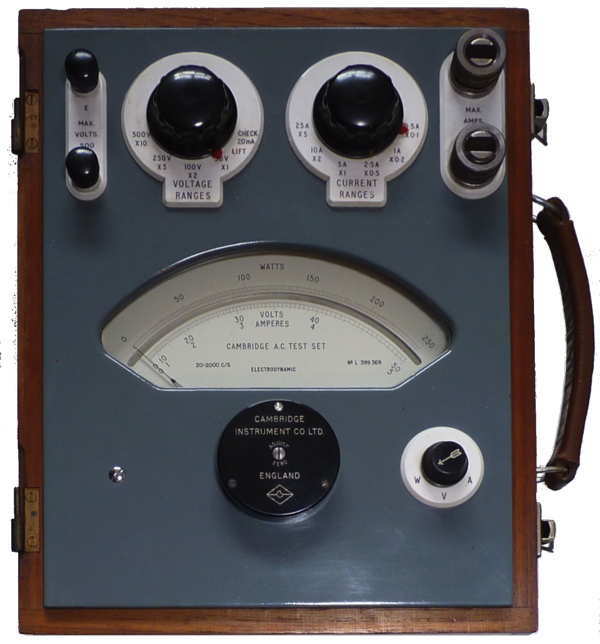 I was given this test meter which formed part of a large collection of instruments amassed by Bob Evans by his daughter Alice Kirby.